BC Summer Games Zone 4 Team, including RCTFC Hurdles Coach/Games Chaperone Francis Hanson-Monnie and RCTFC Athletes Devin Strome, Grace Fetherstonhaugh, Jessica Klein, Lauren Vanee and Tomas Ward. 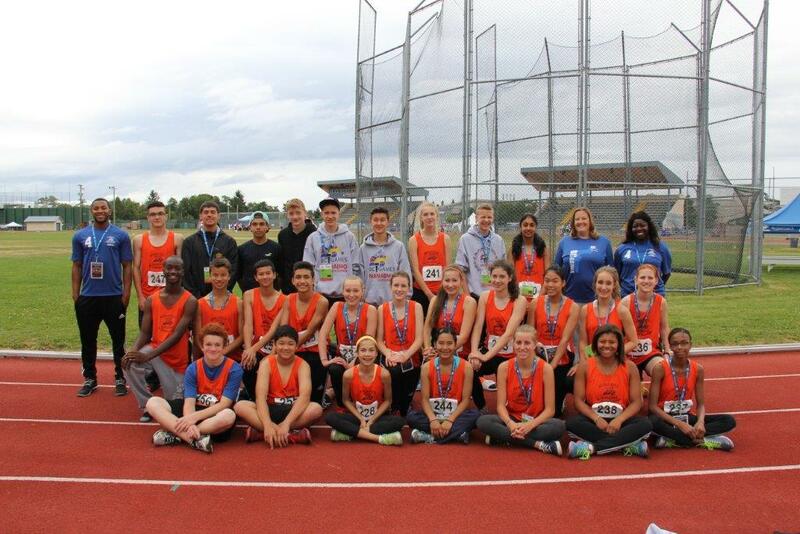 Congratulations to the five Royal City Track and Field Club athletes in the 14/15 year old age category who were selected following the Summer Games trials to compete at the 2014 BC Summer Games in Nanaimo July 17-20. 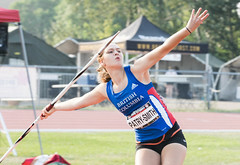 Devin Strome wins Bronze medal for Pentathlon at BC Summer Games. 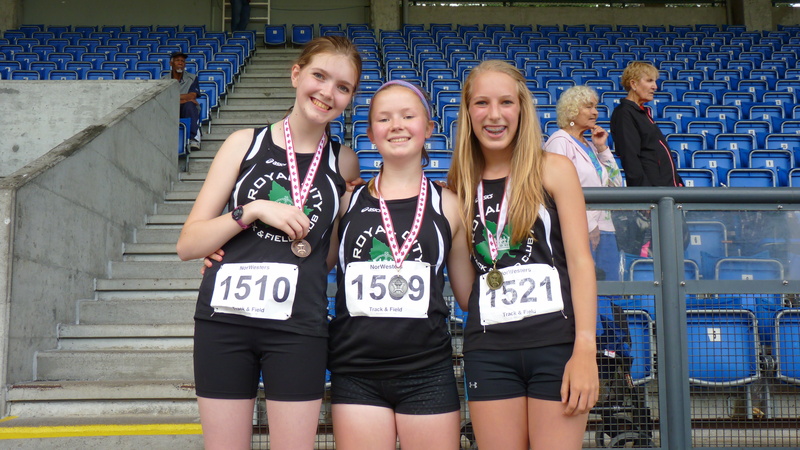 Representing zone 4 (Fraser River-Delta zone) at the Summer Games were: Devin Strome (won a Bronze medal in Pentathlon), Grace Fetherstonhaugh (won 4th in 2000m and 4x400m relay team and 6th in 1200m), Jessica Klein (won 9th in High Jump and 11th for Long Jump), Lauren Vanee (won 7th in Javelin and 10th in 200m Hurdles) and Tomas Ward (won 8th in Pentathlon). Highlights of these performances include Devin Strome’s 1.55m accomplished in high jump for the pentathlon, meeting the BC Athletics Award Standard and Lauren Vanee’s performance in 200m hurdles which qualifies her to compete at Legion Championships.. The athletes were thankful to have Royal City Track and Field Club Hurdles Coach Francis Hanson-Monnie volunteer her time at the BC Summer Games as one of the Coach/Chaperones for their zone. Zone 4 Summer Games Track Athletes arrived at drop-off site at 3am prior to travelling to Nanaimo to compete at the Summer Games July 17-20. RCTFC Athletes for the zone: (l-r)Tomas Ward, Devin Strome, Grace Fetherstonhaugh, Jessica Klein and Lauren Vanee. 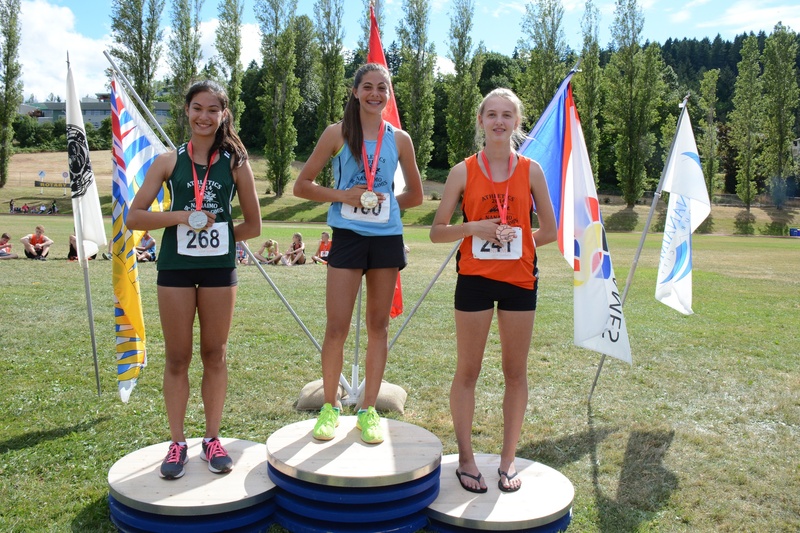 Five Royal City Track and Field Club athletes competed through sweltering conditions that reached over 40 degrees July 11-13 at the BC Athletics Championship Jamboree in Kamloops for athletes aged 14 and older. Emmanuel Dadson, 14, and Brianna Bates, 14, both earned silver medals for their performances in the mens’ 14/15 year old pole vault and the womens’ 14/15 year old javelin events, respectively. Pole Vaulter Kinsey Weir, 16, placed 5th in the 16/17 year old womens’ pole vault event, Emily Chilton, 15, won 4th place in the 14/15 year old womens’ 800m and Grace Fetherstonhaugh, 14, took 5th place in the 14/15 year old womens’ 1200m. Katherine Oostenbrink, Taylor Morrison and Grace Vanee win trio of medals in the 14/15 year old girls 1500m racewalk event. Royal City Track and Field Club athletes competed at the Trevor Craven Memorial Meet July 5-6 in Burnaby against athletes from all over the lower mainland and also against competitors from the Australia Sports Track club and the Australia World track team. 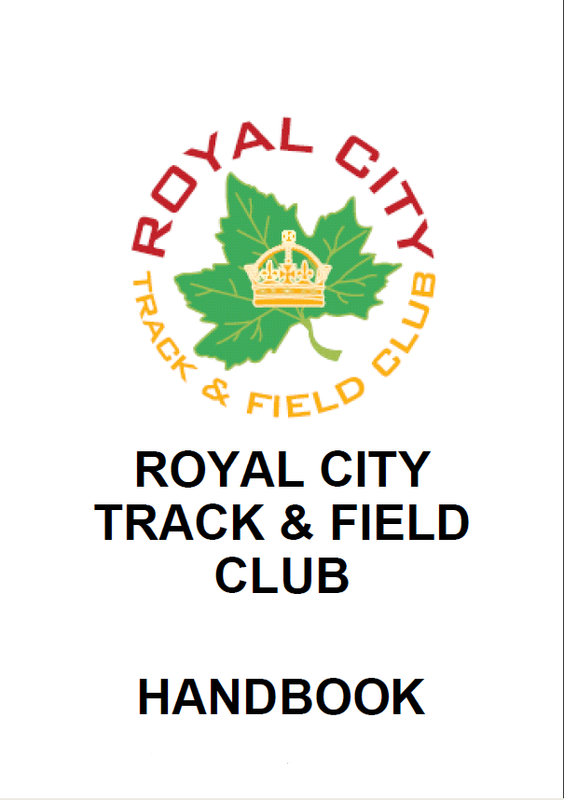 Congratulations to all RCTFC athletes who attained personal bests and tried out new events at the meet. A group of 13 Royal City Track and Field Club athletes showed the club proud in Kelowna June 28-29 at the Jack Brow Memorial Meet. A total of 17 medals were won by these athletes who showed top performances against not just lower mainland and other BC athletes but also against athletes from two different track and field clubs from Alberta and against a group of Aussie athletes competing at the meet. Pole vaulter, Kinsey Weir took bronze for her performance in pole vault in the 16-17 year old girls’ category and also a fifth place finish in triple jump. In the 16-17 year old boys category, Fraser Stewart-Barnett took 15th place for the 1500m run. For 14 year olds, Brianna Bates took 2nd place in the javelin competition and 4th place in pole vault for the girls and Emmanuel Dadson took 2nd place in pole vault for the boys and 9th place in the 300m. For 13 year olds, Jenevieve Patry-Smith won 1st in pole vault and shot put and 2nd place in javelin for girls and Shea Janke took silver for his 2000m race and bronze in the 800m for boys, and Jeremy Belcher won gold for 200m hurdles, silver for triple jump and bronze for his 80m hurdles race. In the 12 year old girls’ category Michelle Dadson won 1st place in the discus throw and 3rd place in her shot put throw against a field of 20 competitors, as well as 6th place in long jump. Lauryn Savela accomplished a bronze medal for her performance in javelin and top 10 for her high jump, discus and 800m race. Emma Dolman placed 13th in 80m hurdles and 11th in high jump. Kate Stewart-Barnett won a trio of medals in the 11 year old girls’ category for her 2nd place performances in the 600m and the 1000m and 1st place in high jump. David Patry-Smith took 6th place for shot put for 11 year old boys. Kaia Polanska Richardson took 7th place in both long jump and discus and an 8th place in javelin for 10 year old girls.